Apologies it's taken so long to get the latest content online. The two recorded podcasts I had scheduled had to be dropped because of content issues / legal issues and having been on paternity leave and then conference travel time has got the better of me. The podcasts we recorded, the first we're bringing you this week, the second one next Wednesday, however there is a break with tradition. If you've ever wondered how we do these podcasts especially on the road, I've made a video for you of the podcast which you can stream below. Posted in Cloud Software, Community, Gluster, OpenStack, Partners, Podcast. 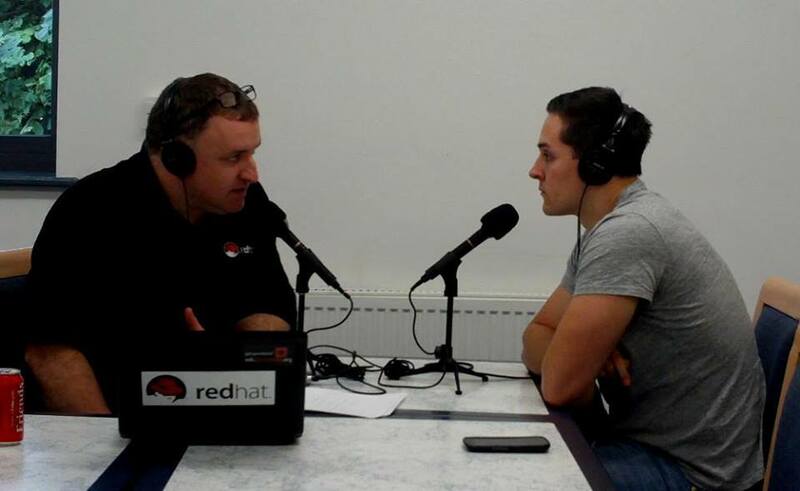 Tags: Gluster, OpenStack, red hat, Rhys Oxenham, Richard Morrell on September 28, 2013 by dickmorrell.